I don't know about you, but I have my students work with partners constantly. Sometimes partners are assigned strategically, based on data for intentional instruction. Sometimes, however, I just need my students to find a partner or at least someone to turn and talk to during think-pair-share. I was tired of my students taking forever to find a partner. I was tired of my kids working with the same people over and over. I was tired of saying "make a better choice" or "you aren't allowed to work together." I have equity sticks and use them often, but the partnerships aren't planned and therefore often aren't great. 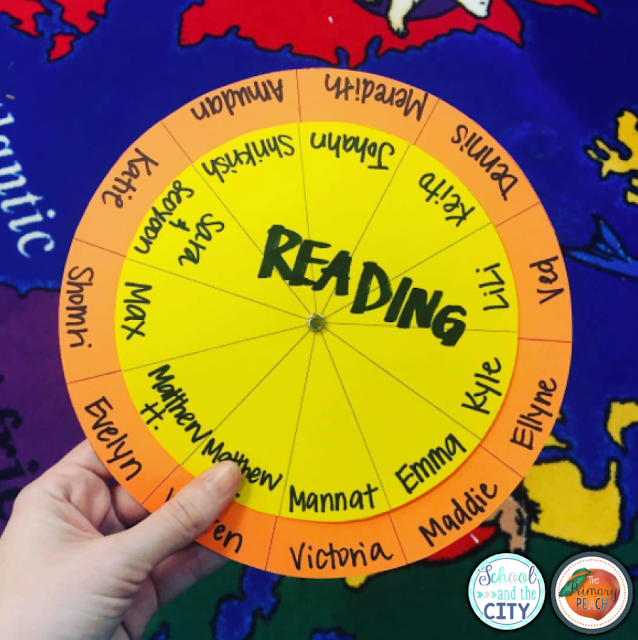 I've been implementing more whole-brain teaching into my daily routines, so I've been using this partner wheel to determine weekly reading carpet partners. It may not be the prettiest thing, but it serves its purpose! Here's another tip: Search "circle segmented into __ parts" on Google images to find a circle that fits your needs. Print one smaller than the other, attach with a brad, and there you have it! Want to squeeze in a little more practice? Make your partnering academic! 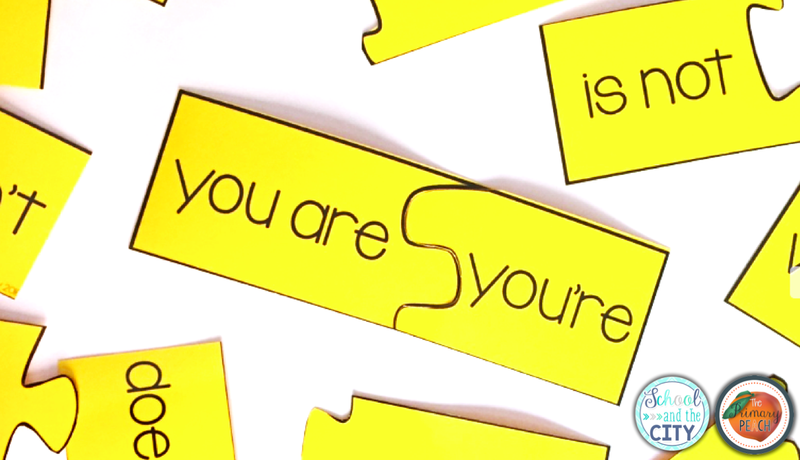 A perfect example is using one of my grammar puzzles. Pass out the pieces to your class, and each student has to find his or her match. Ta da, partners! This works for vocabulary too. Put the word on one index card and the definition on the other. Laminate so you can use them over and over. Lastly, there are tons of options for cute partnering cards on Teachers Pay Teachers. Which one are you going to try? If you make your own, please send a picture my way on Instagram either @schoolandthecity or @theprimarypeach. The contents were very opt to the topic and it is very easy to understand. Always keep the same quality of contents in your blog. I liked this article very much. Each points which you have explained in this post is true. It is very meaningful and everyone should read this article. I got such an amazing post at custom essay writing service.